DEVELOPERS and property consultants said the Government’s affordable housing initiatives proposed under Budget 2014 would ensure better planning, coordination and execution to meet the urgent demand for such housing units among the lower and middle-income group. Managing director of property consultancy VPC Alliance Malaysia Sdn Bhd James Wong said the Government’s initiative to establish the National Housing Council (NHC) to develop strategies and action plans to build affordable housing priced from RM150,000 to RM450,000 would help to streamline and plan the one-million-unit target of affordable housing over a five-year period. “Under the plan, we would need to build 200,000 units of affordable houses a year. But national statistics have shown that only 50,000 units have been built over the past few years, a shortfall of some 40%,” Wong told StarBizWeek. “It is a very opportune time for all the parties involved – 1Malaysia People’s Housing Programme (PR1MA), state governments, local authorities and private developers – to plan, coordinate and implement strategies towards the affordable housing cause for each state,” added Wong, who is also the publicity chairman and past president of The Association of Valuers, Property Managers, Estate Agents & Property Consultants in the Private Sector Malaysia or PEPS. Wong said industry estimates showed some 1.7 million households, equivalent to 6.8 million people and some 25% of the country’s population, were still without housing. The NHC is to develop strategies and action plans in a holistic manner, coordinate legal aspects and the property price mechanism, and ensure the provision of homes in a more efficient and expeditious manner. The council members will comprise federal agencies, state governments, the National Housing Department, PR1MA,Syarikat Perumahan Negara Bhd and the private sector. Mah Sing Group Bhd group managing director and chief executive Tan Sri Leong Hoy Kum lauded the Private Affordable Ownership Housing Scheme (MyHome) proposal as a positive move for developers to play their part in meeting the affordable housing needs. 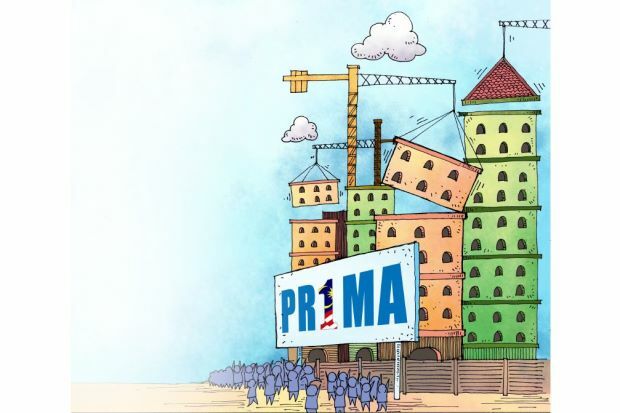 “There would be a subsidy of RM30,000 for private developers for each unit built, and the maximum prices have been increased to RM45,000 for low-cost and RM170,000 for medium-cost units. We look forward to exploring this opportunity to see if we have any locations that are suitable for this scheme,” Leong added. See Hoy Chan Holdings Group director Datuk Teo Chiang Kok said developers had been building low-cost and low-medium-cost houses for the past 30 years that had been largely based on a cross-subsidy model borne by free-market house buyers. “The subsidy from the Government would lighten the burden of house buyers, especially those in the low-income group and encourage developers to partake in the affordable housing cause,” said Teo. Real Estate and Housing Developers’ Association Penang chairman Datuk Jerry Chan, meanwhile, said the Government’s proactive role to take the lead in the affordable housing policy was a very positive move.